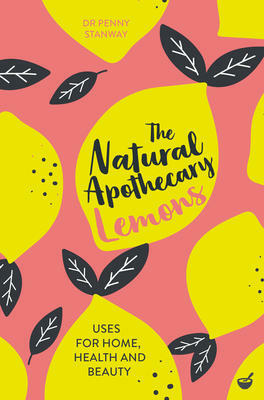 A pocket guide to harnessing the power of lemons to use asa natural remedy, beauty aid and household resource. From face masks and hand creams to cleaning products and coldand-flu remedies, the scent and flavour of lemon have long been used by manufacturers of home and beauty products to imbue their products with the zesty freshness which this citrus fruit is associated worldwide, and its little wonder why Packed with vitamin C, an aid to digestion and linked to sparkling eyes and skin, this humble little fruit is packed with goodness that, with a little know-how, can easily be harnessed to allow you to bypass the chemicals and produce your own all-natural products for home, health and beauty. With our increasing awareness of reducing exposure to chemicals and the importance of keeping things natural, as well as the ever-growing realization of the environmental impact of disposable plastic packaging, there has never been a better time to go back to basics, embrace all-natural ingredients and regain control of what we are putting in and on our bodies.The Natural Apothecary: Lemonsopens by exploring the benefits of lemons and looks at how to grow your own at home. The following pages are broken into sections on home, health and beauty, containing over 40 simple recipes for all-natural, home-made products that allow you to utilize the vitality of lemons with ease; make a bruise balm infused with lemon zest, a fragrant hand lotion for soft and youthful skin, or a chemical-free cleaning solution guaranteed to leave your home sparkling.